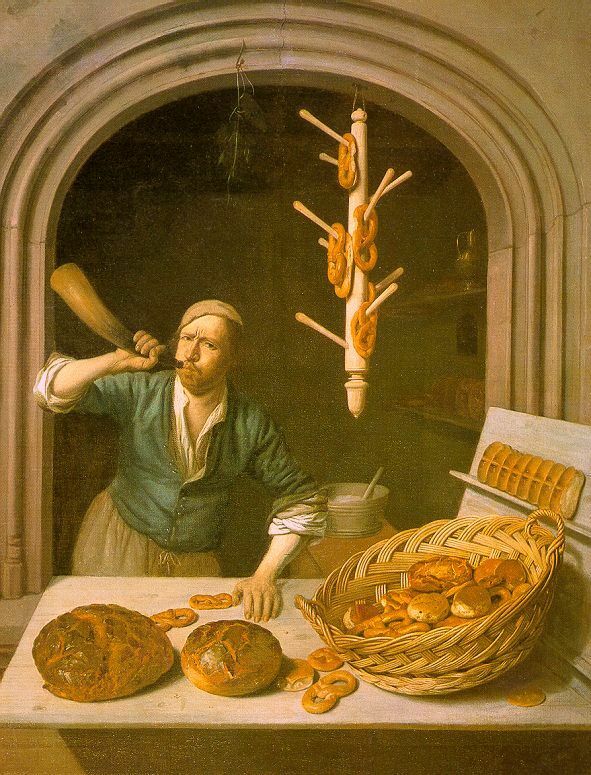 The origins of our pretzels goes back to antique Rome where rings of bread were used in religious ceremonies. In the second century AD early Christians used this kind of bread to celebrate communion during mass. 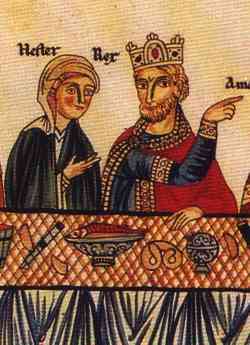 Italian monks invented the shape of the pretzel in 610 AD. Food historians say that the shape symbolized the form of crossed arms, the traditional posture for prayer. Pretzels became popular all over Europe and its shape was associated with the Holy Trinity – Father, Son and Holy Spirit – and good luck, long life and prosperity. 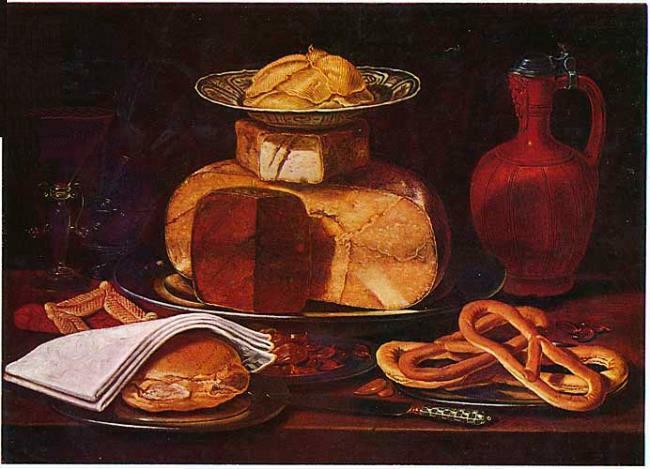 In 1510, pretzel bakers saved Vienna from an attack by Ottoman Turks. The Turks dug tunnels under the city walls but monks baking pretzels heard them and alerted the city. As a reward, the Austrian emperor gave the pretzel bakers their own coat of arms. In the 17th century, royal couples in Switzerland used pretzels in their wedding ceremonies, symbolising the tying of the knot. Around the same time in Germany, children wore pretzels around their necks on New Year for good luck and prosperity. Legend says the pretzels reached the USA with the Mayflower. For sure, German settlers brought them to Pennsylvania in the 18th century. Pennsylvania remains the American Pretzel capital. 80 percent of the country’s pretzels are made there. In Europe, pretzels remain popular mostly in Germany and other German speaking countries. In Bavaria we eat them for a late breakfast together with ‘Weißwürste’ and beer. I went to boarding school in Lititz, PA, across the street from the Julius Sturgis pretzel factory, and we went there every day for hot pretzels...we shaped them ourselves, and they baked them.